Big Fish Audio has announced the release of Southern Rock and British Invasion, two new rock libraries now available from the Xtended Series. 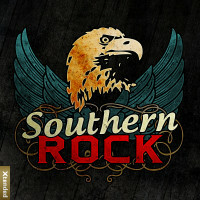 Consume the raw, rebellious rise of southern pride with music with this Massive 8.7 GB (4.7 GB 24-Bit Wav files) Library. Legends like Lynyrd Skynrd, the Allman Brothers, Charlie Daniels, the Marshall Tucker Band, and Molly Hatchet are given tribute to the revolution of rock that took on a southern style that was anything but soft. With explosions of furious fiddle playing, the detonating drums, and the growl of the guitar, this wild and untamed genre of music is yours to harness with a library of tracks straining to be let loose and run free with your creative hand at the reins. Explore the sounds of the south with Southern Rock. 8.7 GB of material (4.7 GB of 240bit WAV files – Including Complete Live Played Multi-Track Drums). 3,516 files in WAV, REX and Apple Loops (923 WAV Loops). 12 Massive Construction Kits: Each Kit contains a demo mix, every element broken out with multiple song style sections and tons of variations. Complete Live Played Multi Drums of each and every kit allows you to tweak to your hearts content. You get the entire recording session, every nuance and every detail right at your finger tips. 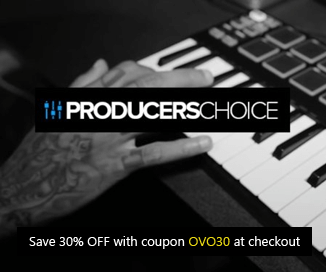 923 WAV Loops, 923 Apple Loops, 956 REX Loops, 714 Multi-Track Drum Loops (WAV). Instruments Include: Electric Guitars, Electric 12 String, Acoustic Guitars, Drums (live played, complete multi track for every kit), Percussion (tambourine, maracas, cowbell, bell-tree, hand-claps), Electric Bass, Organs. Rip up some chords with a revolution that beat down the borders and swarmed the nation. This infectious riot of British upstart rebels simply rocked the world invaded our hearts and our souls with some of the greatest songs ever written and performed. This massive 6.4 GB library is a tribute to rock legends like the Stones, Queen, Who, Zeppelin, Pink Floyd, Beatles and many more that led this charge of British power that overwhelmed us and had us begging for more. Soak your tracks in the pure crackling energy that ripples through the immense sounds of this collection of British beats. 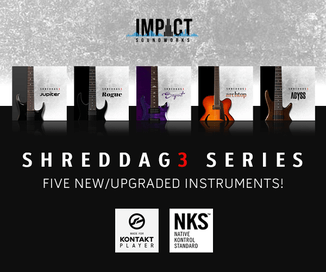 Its rocking waves of surging guitars and crashing drums will set your songs on fire and trash your studio. So go on, give in to your rebellious side and join a revolution worth fighting for. 6.4 GB of material (3.6 GB of 24-bit WAV files – Including Complete Live Played Multi-Track Drums). 2,528 files in WAV, REX and Apple Loops (659 original WAV loops). 12 Massive Construction Kits: Each kit contains a demo mix, every element broken out with multiple song style sections and tons of variations. Complete live played multi drums of each and every kit allows you to tweak to your hearts content. You get the entire recording session, every nuance and every detail right at your fingertips. 659 WAV Loops, 659 Apple Loops, 670 REX Loops, 540 Multi-track drumloops (WAV format). Instruments include: Electric guitars, Electric 12 string, Acousitc guitars, Drums (live played, complete with multi track for every kit), Percussion (tambourine, maracas, cowbell, bell-tree, hand-claps), Electric bass, Organs. 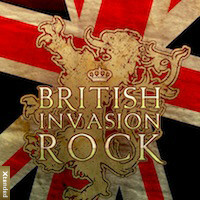 Southern Rock and British Invasion are available to purchase for $99.95 USD each.